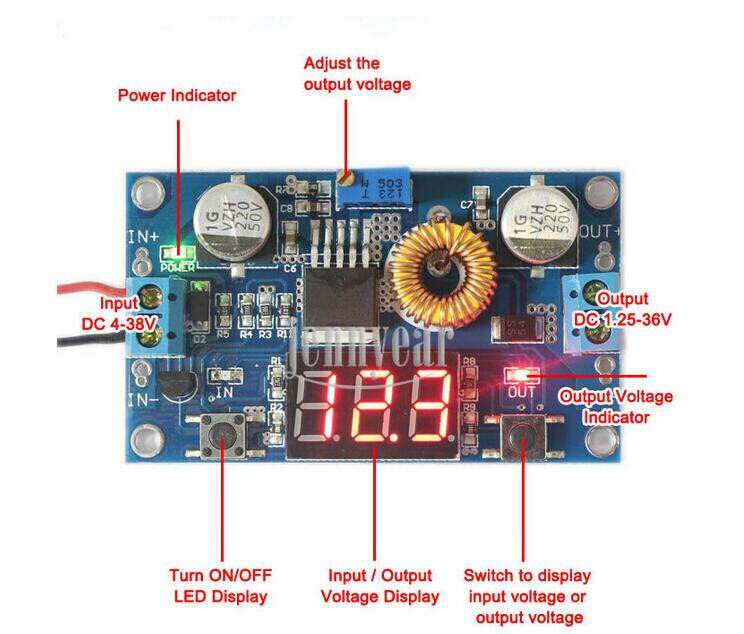 Power up the module with a stable and accurate power supply , such as a 5V power supply, then shot press the button on the right side to select which one do you need to adjust (input or output), and long pressing (press time > 2S) the button(right) makes the module enter the calibration model, after releasing the button, the related LED would blink to indicate which voltage is now calibrating, and the numeric display blinks the correction value. 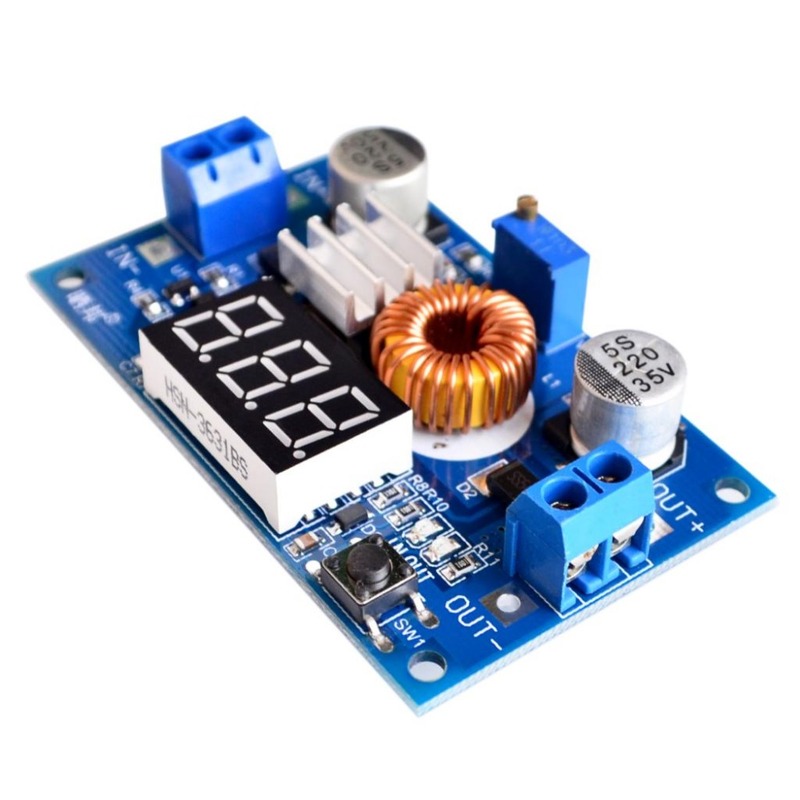 Short press the button to change the correction value, Short press the button on the right side, voltage increases one unit, Short press the button on the left side, voltage reduce one unit, for example, if your power supply is 5V, but the result of voltage meter is 4.8, you need to set the value to 5V. 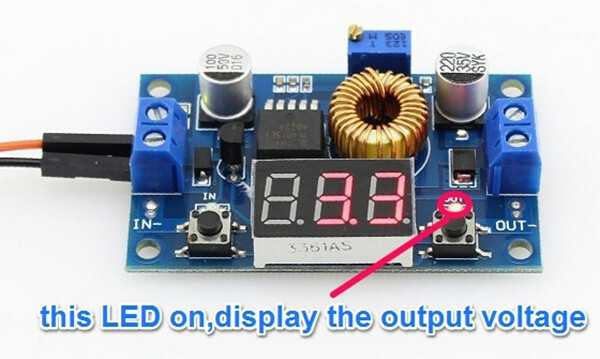 Long press button on the right side(press time ≈ 2S), to store the voltage correction value. 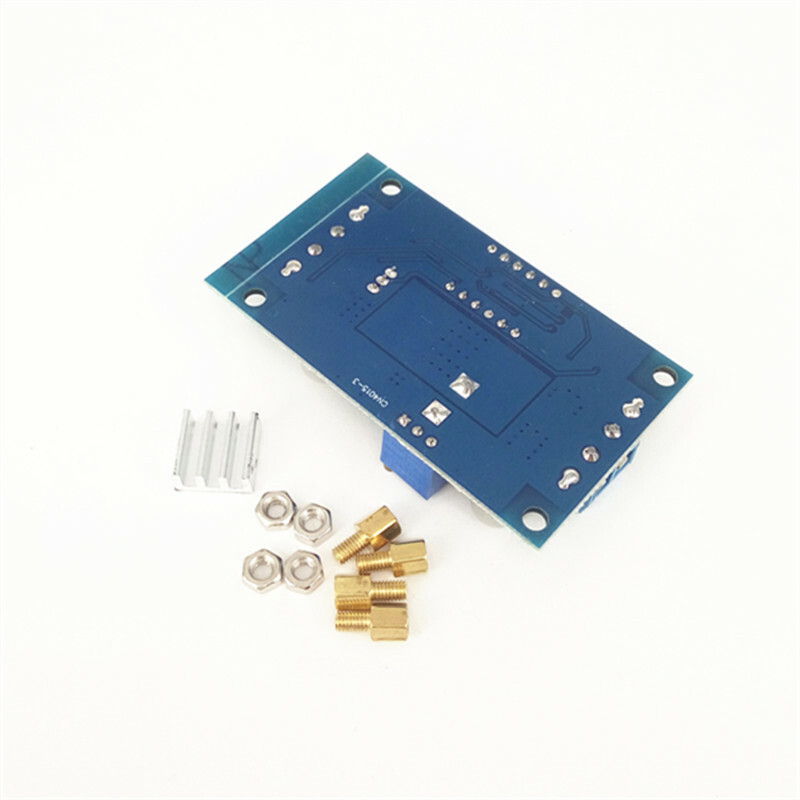 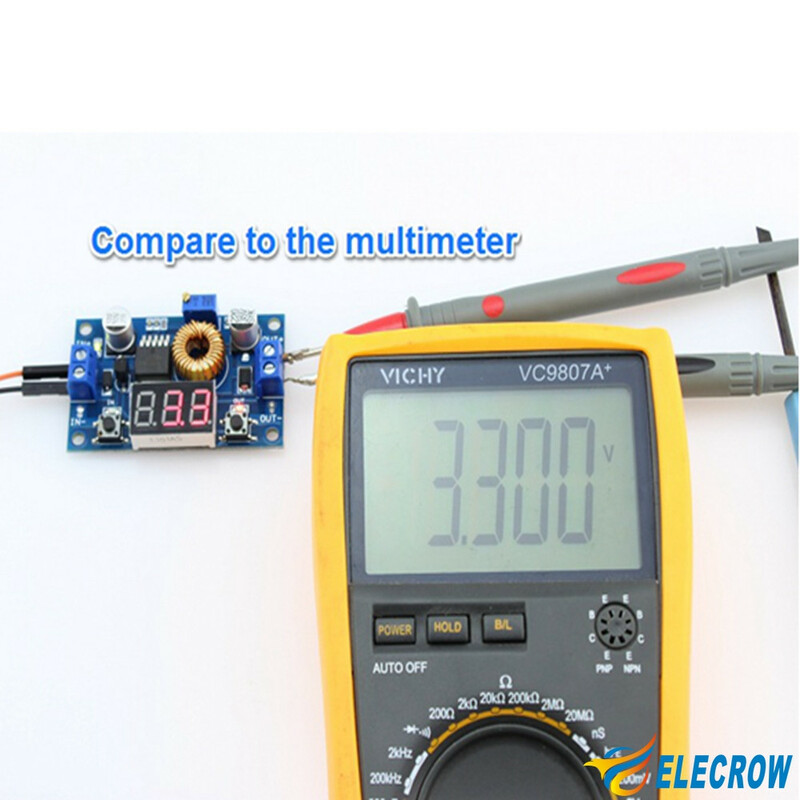 Calibrate the output voltage in the same way above; The correction value will be stored in nonvolatile memory. 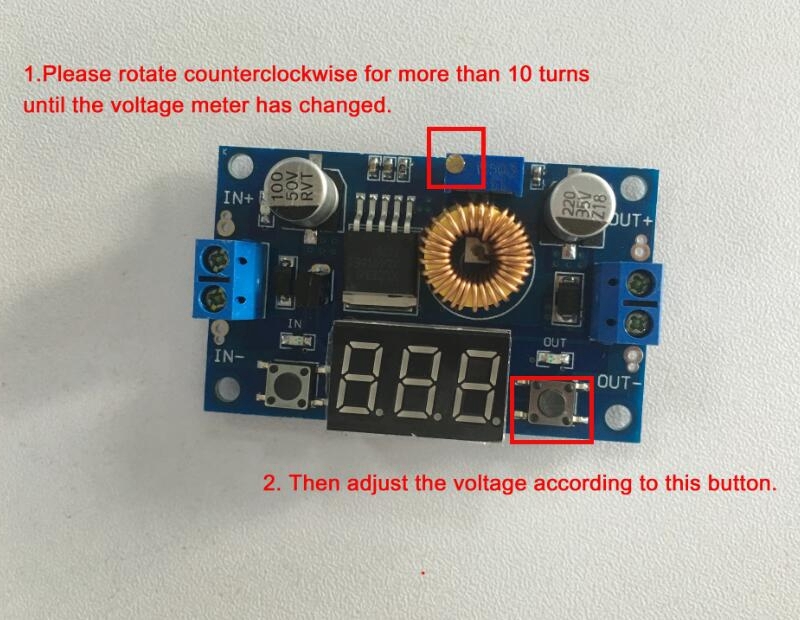 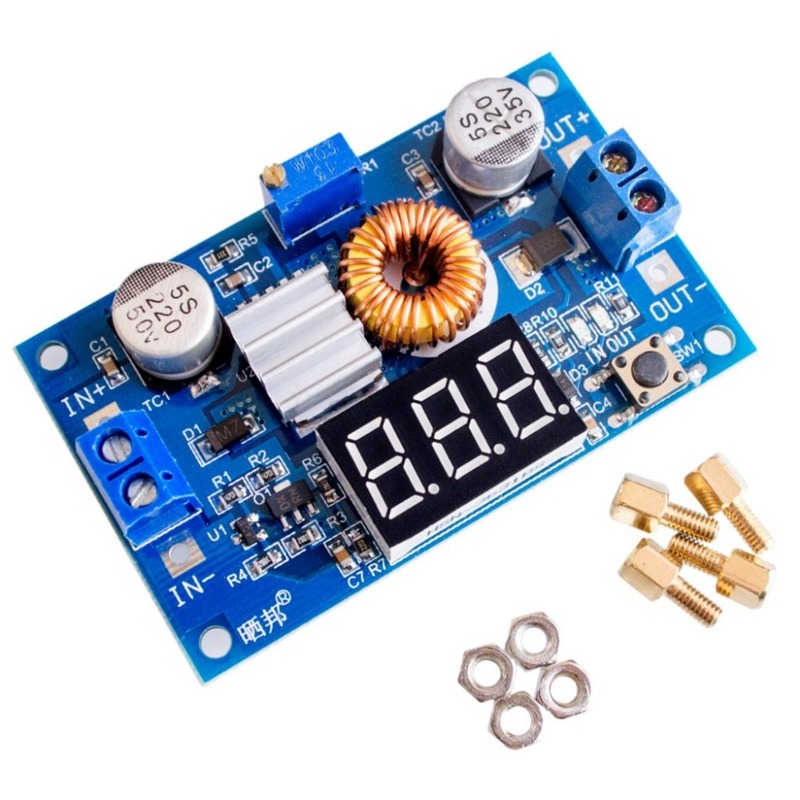 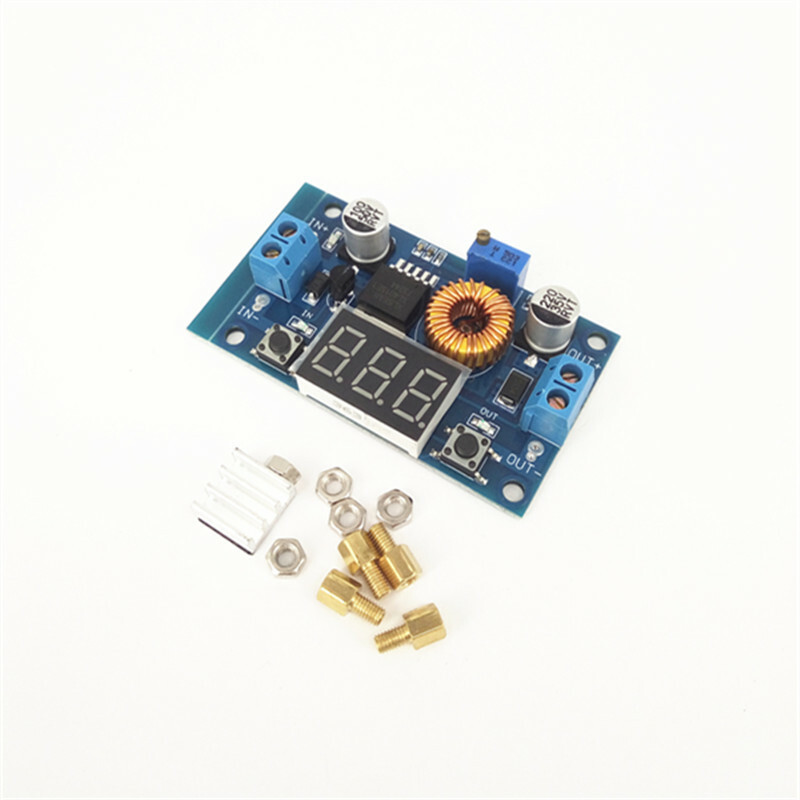 Tips: When the output voltage can not adjustable and alway same as the input voltage, please turn the potentiometer counterclockwise more than 10 turns first. 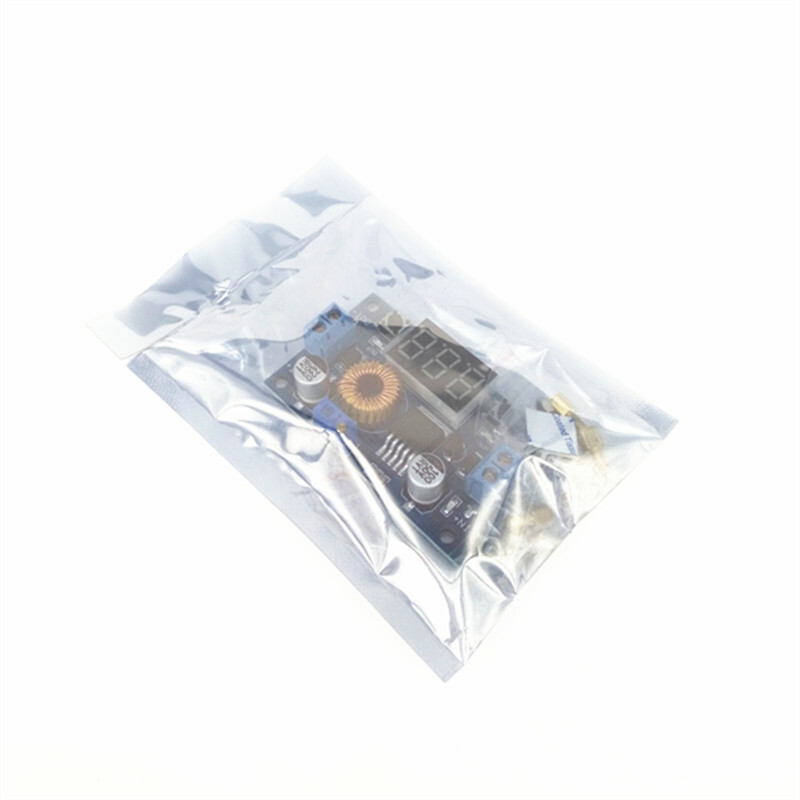 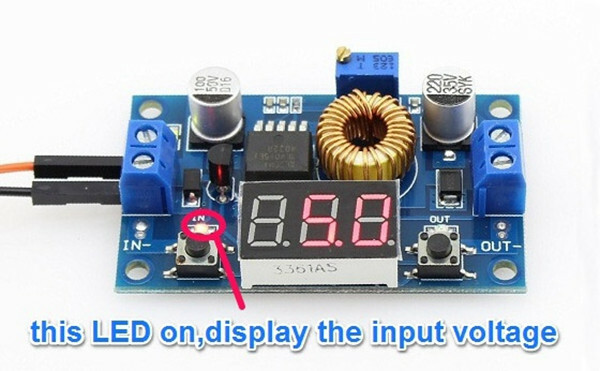 Because of the default output voltage of this module is 20V.